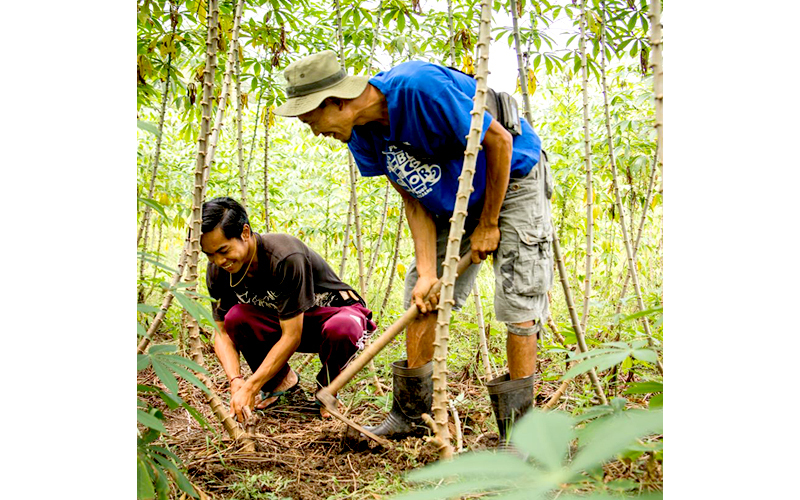 The organic cassava plantation in Bali is the local farmers' effort to reclaim abandoned, dried up rice paddies. Cassava (manioc) cultivation is less labor intensive and requires much less water than rice farming. Together with a local farmers association, PMA is committed to buy all the crops from these local organic farmers and then process them to become Organic Cassava Chips and Organic Tapioca Flour. After rice and corn, cassava root is the third largest source of carbohydrates in tropical countries in Asia and Africa. The starchy root can be prepared and processed many different ways. Cassava chips, made by deep-frying thinly sliced roots, are a common snack in several southeast Asian countries. 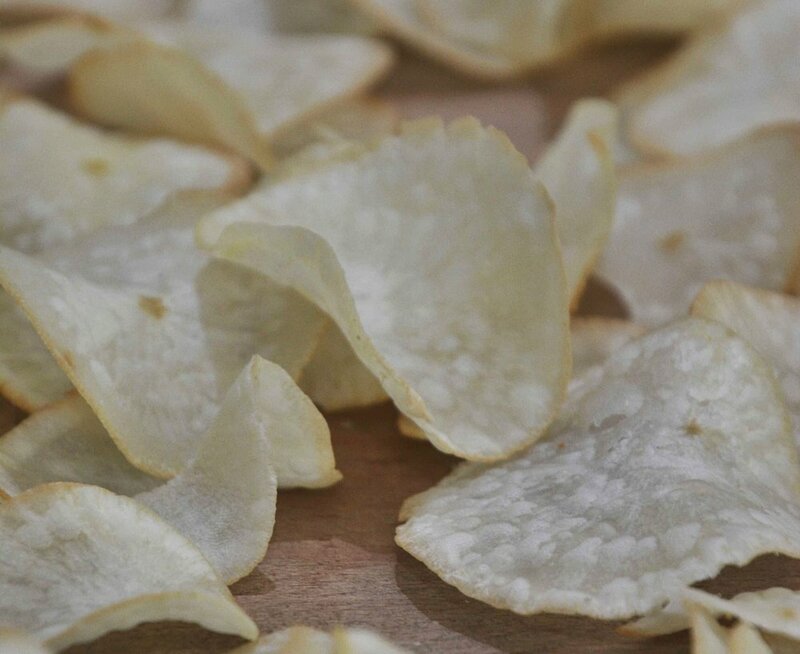 Compared to potato chips, cassava chips are also healthier because they contain less acrylamide (a suspected carcinogen). To fry our organic cassava chips, we use RBD (Refined, Bleached & Deodorized) organic coconut oil sourced from an established local producer. Tapioca flour is the refined starch extracted from cassava root. High-carb, gluten-free and low-calorie, tapioca flour is a versatile ingredient used in various food preparations in many different parts of the world. Commonly used as a thickening agent in both sweet and savory food, tapioca starch is also used as the main ingredient of flatbreads from South American countries, and processed into different forms of desserts throughout Asia. Because it's gluten-free and very low in sugar, fiber and fat, tapioca flour can also be used in vegan diet and is safe for people with diabetes and high blood pressure. This project is also made possible with our partnership with DEG (Deutsche Investitions- und Entwicklungsgesellschaft mbH) – a Public Partner program of develoPPP.de, which was set up by the German Federal Ministry for Economic Cooperation and Development (BMZ) to match private sectors investment with farmers in developing countries. DEG supports training for the farmers, as well as providing the machinery for deep-frying and packaging. Our organic cassava chips have also received certification from Fairtrade by IMO, under the name of "Fair for Life".